Eff The Knicks! Eff These T-Shirts! Fans of Mango Sentinels and Curly Moustaches, you can now wear your allegiance proudly on your chest. Don't know what I'm talking about? This will help. 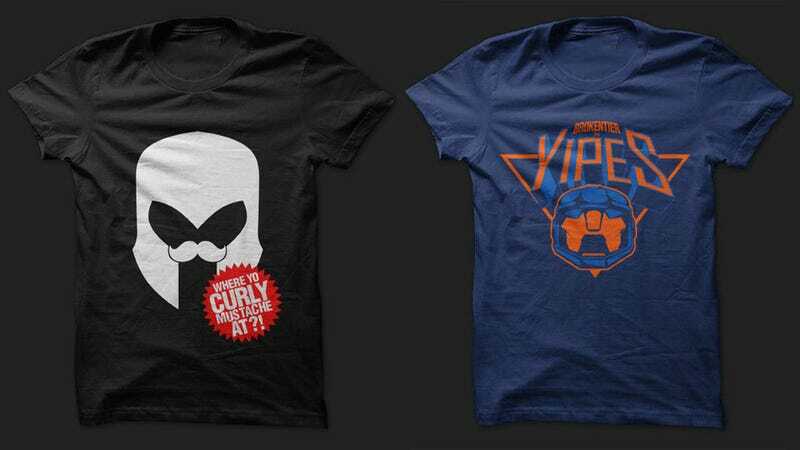 These two shirts, from BROKENTIER, are part of a collaboration honouring IFC Yipes, one of the fighting game scene's most prominent characters, who is not only a handy gamer himself but also hosts and infamously commentates matches as well. That clip linked above? That's Yipes on the mic. Hence these shirts. They're $28 each, which is a little higher than you'd normally pay for a t-shirt. But how many of your normal shirts have a Mango Sentinel on them?